Soon to be members of the Gin Guild, Isle of Wight Distillery which produces the HMS Victory Navy Strength Gin, has been awarded a prestigious ‘Best in Category International Navy Strength Gin’ accolade at this year’s American Distilling Institute (ADI) Spirit Competition. Known as the ‘Voice of Craft Distilling‘ the ADI presented these internationally recognised awards yesterday evening (4th April) at its Annual Conference in Baltimore, USA. 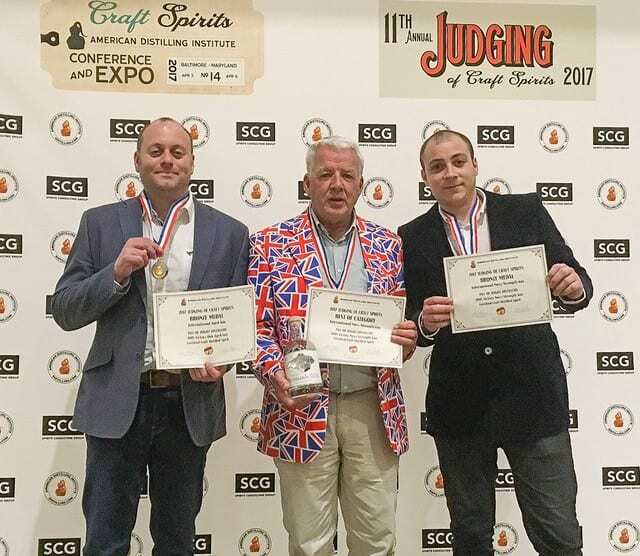 Adding to this achievement, the Isle of Wight team also won coveted Bronze Medals for its HMS Victory Navy Strength and Oak Aged Navy Strength gins, making three awards in total on the night. Founders of the Isle of Wight Distillery, Conrad Gauntlett and Xavier Baker were joined at the presentation ceremony by their marketing manager Fabian Game. We are delighted to win three awards especially Best in Category for our Navy Strength Gin, the big brother to Mermaids Gin. To win such awards on the other side of the Atlantic is a huge accolade for us. We all feel very proud. 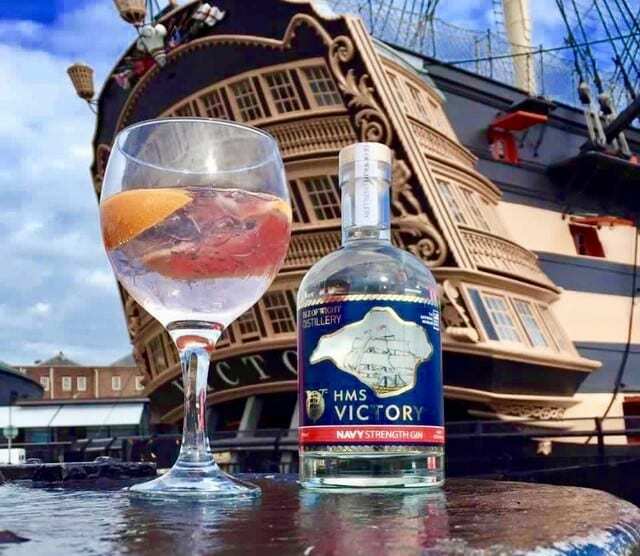 The association between the HMS Victory, Nelson’s famous flagship and the navy strength gin produced on the Isle of Wight has been formalised through an exclusive licensing agreement with the National Museum of the Royal Navy based in Portsmouth. The Isle of Wight distillery will formally join the Gin Guild at the Gin Guild Spring Installation and Gin Industry Annual Dinner on 9th May 2017.